✅ EASY TO INSTALL-- Self-adhesive back tape can be fit on any clean, dry and flat surface. flexible operations, Slim, compact and flexible PCB strip. Mount end-to-end for bendable or angled patterns,or in continuous rows. We recommend that, wipe the surface with alcohol when installed the strip. ✅ CUTTABLE & LINKABLE -- It can be cut every 3 LEDs along the cutting marks, without damaging the rest strips. 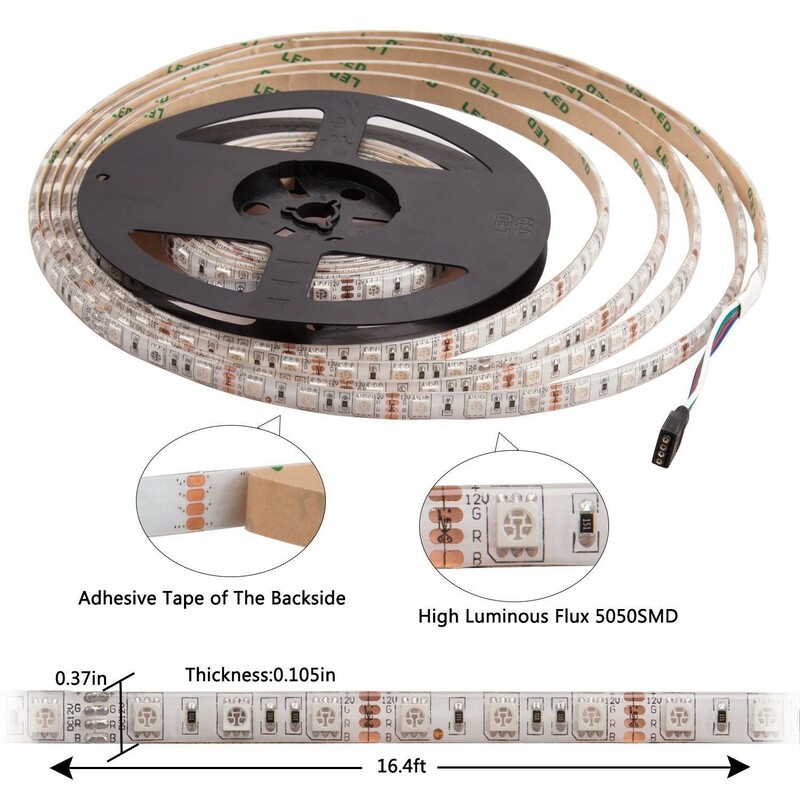 If you are not professional, we do not recommend you cut the strip, for it is not easy to connect two strips. 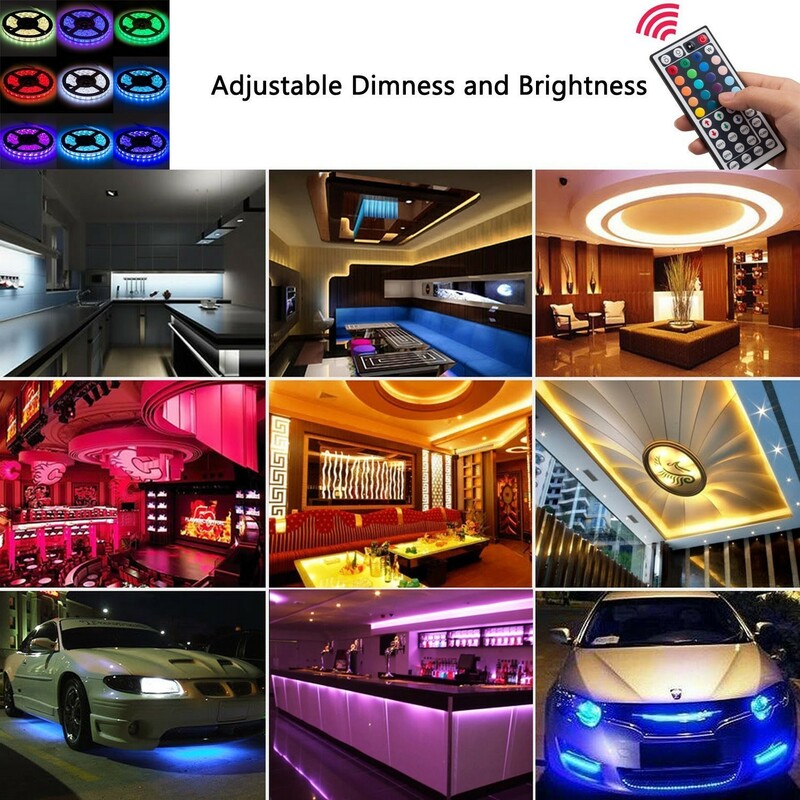 ✅ WATERPROOF -- Waterproof(not under water，but raining) and Color changeable.Very suitable for indoor lighting and decor. 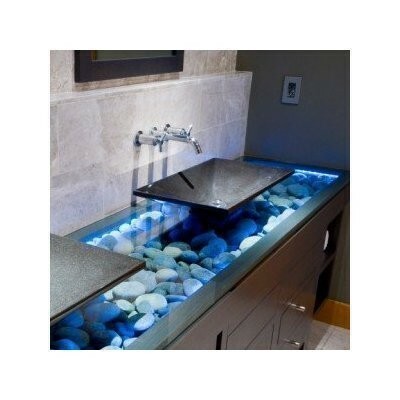 Such as kitchen, under cabinet, dining room, bedroom, garden, patio, balcony, party, wedding etc. 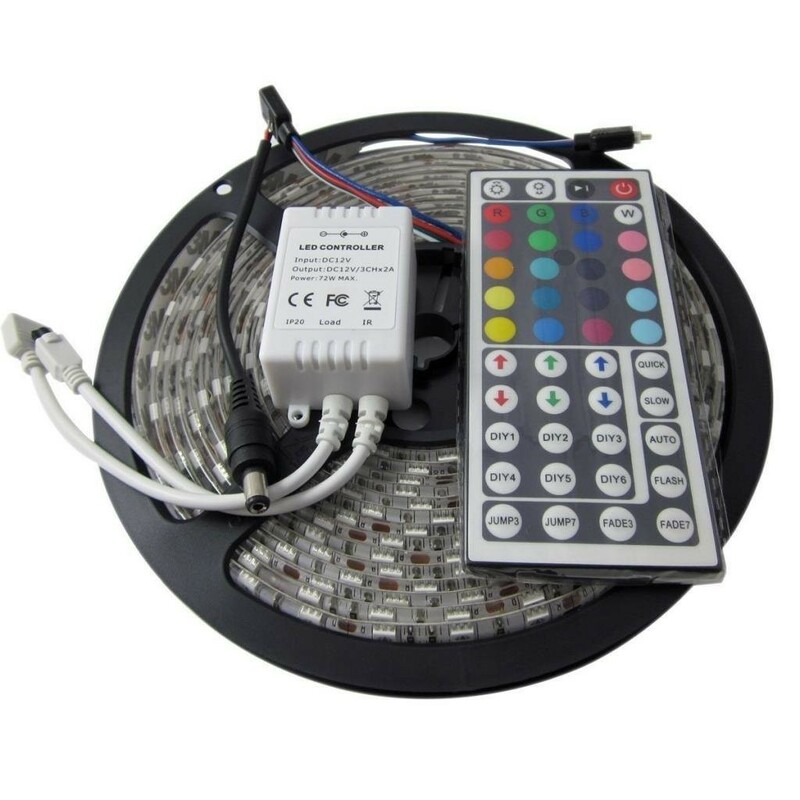 ✅ MULTIPLE COLOR -- 44key controller contained a DIY fuction, It can be changed to white or different color options with Remote Control. 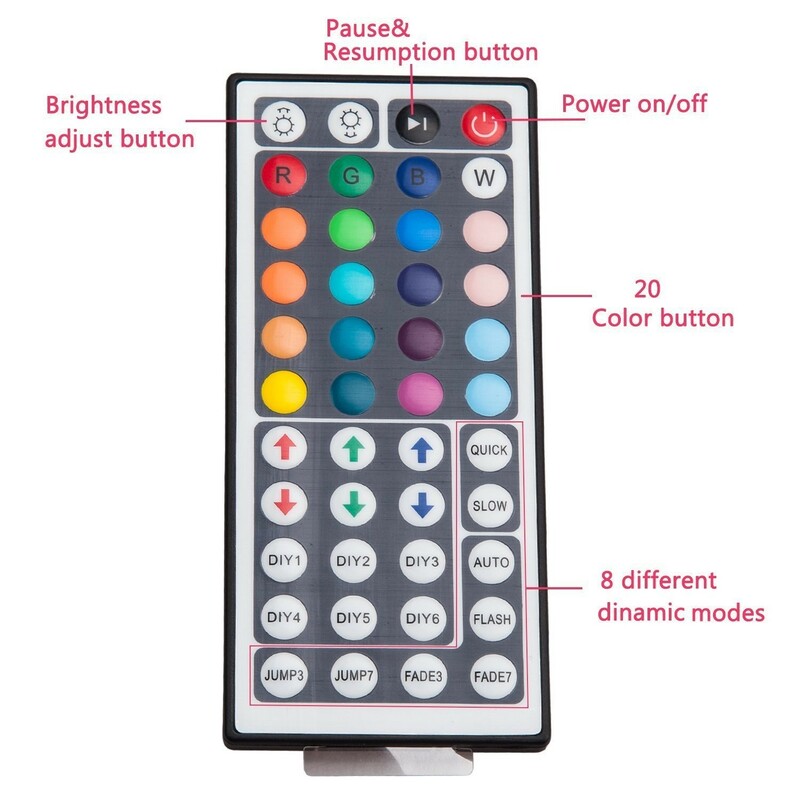 The 44 keys infrared controller has 6 DIY keys for memorizing the colors that you preferred. 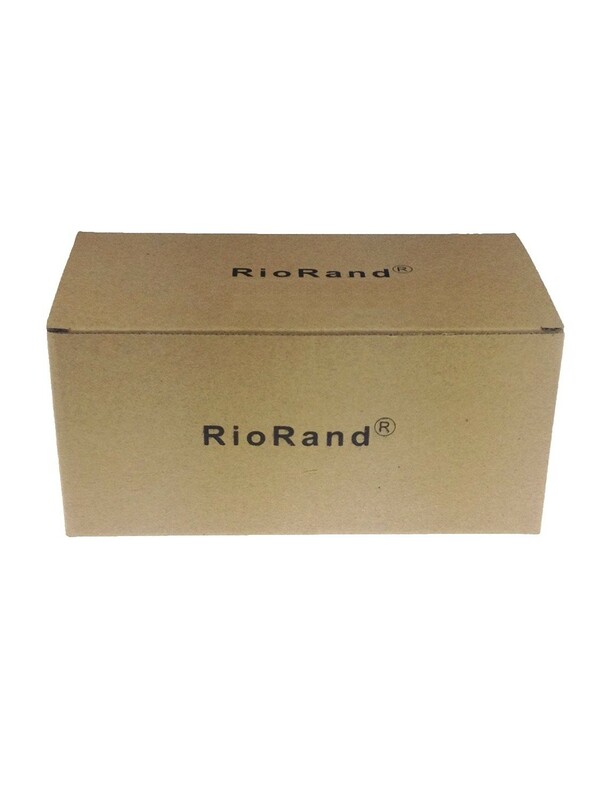 ✅ WARRANTY -- RioRand Strip Lights comes with one year hassle-free warranty and 30 days money back guarantee. Connect the load and power lines, make sure all connection right before power switched on; Take off the plastic sheet of remotes battery before using. If you have any questions, please contact us. -- If you use the light strip first time, you may smell bad, it's just normal. Keep it for some days, the smell will disappear. -- Please make sure that the mounting surface is clean before you use the tape. The adhesive backing is strong and adheres well to properly prepared surfaces which is great. 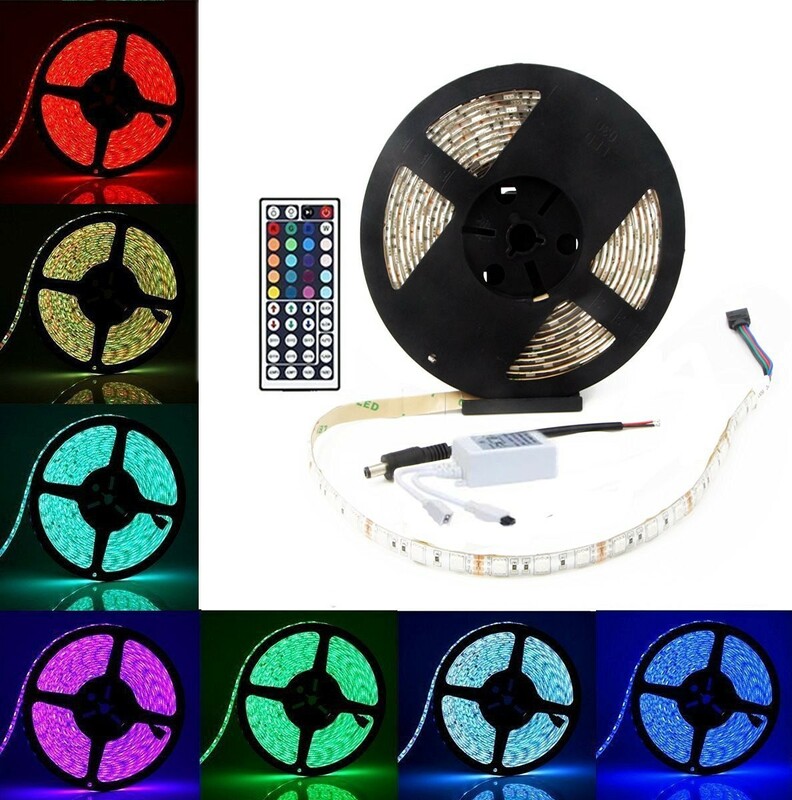 -- LED Strip Lights Kit Package only comes with RGB LED strips, 44 Keys remote controller, white box receiver and mounting bracket . 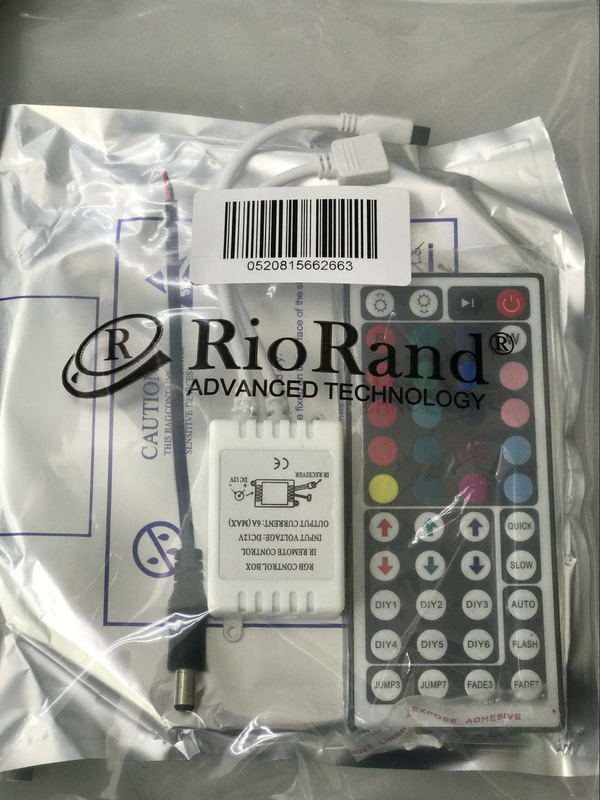 -- A power adapter is required but not included, please search "RioRand adapter 5A / B01DXSSOG2"on Amazon if you need one. -- The 44 keys infrared controller has 6 DIY keys for memorizing the colors that you preferred. 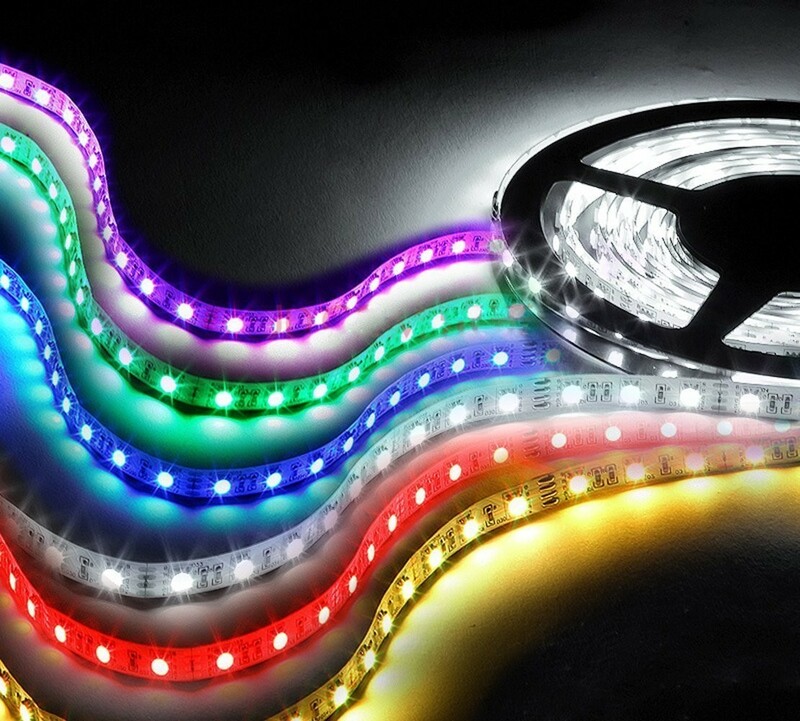 -- This LED Light Strip is touchable and safe to children. it's extremely low heat. 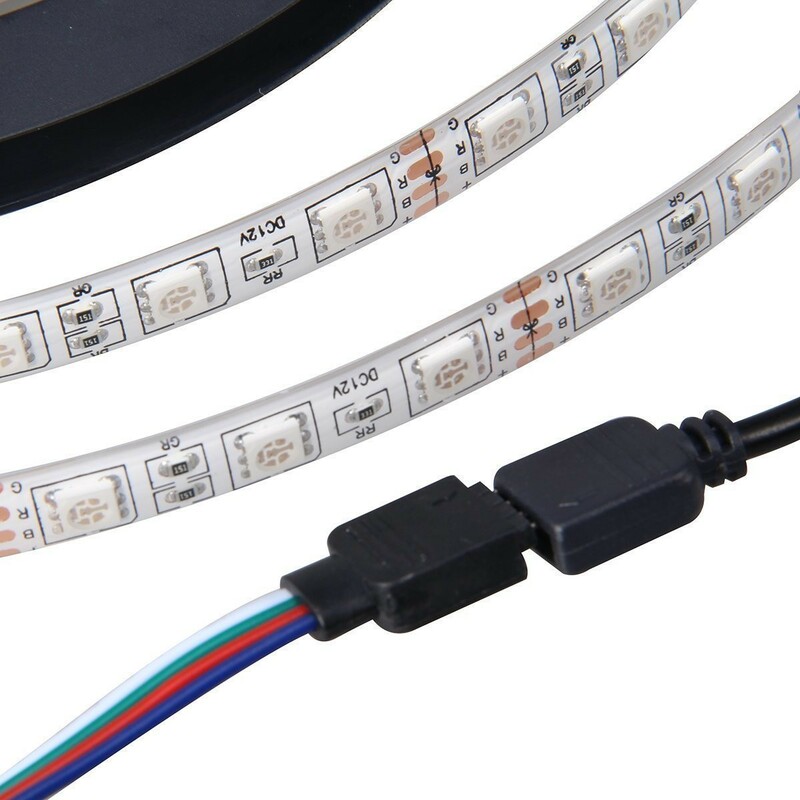 Important Notice: For safety concerns, please don't connect two or more LED strips together and work with one low power adapter.